Reports are out that once-in-a-generation player Anthony Davis has requested a trade out of New Orleans and the rumor mill had exploded with so many theories and suggestions. 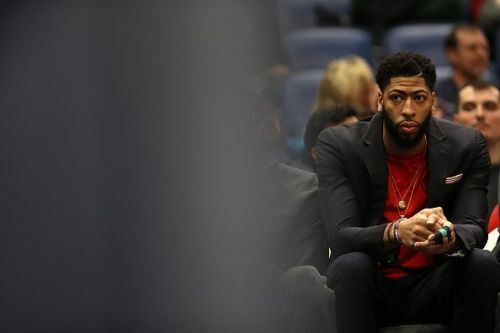 Trade rumors began when ESPN's Adrian Wojnarowski reported on Monday that Davis has not elected to re-sign with the Pelicans and wanted a trade instead. Wojnarowski cited Davis' agent, Rich Paul, as the source. Davis is set to reject a five-year, $240 million supermax extension in the process. One rumor standing out is a deal with the Los Angeles Lakers. Paul is also the agent of Lakers main man, LeBron James. According to a tweet from the LA Times' Brad Turner, the Lakers may have to give up Lonzo Ball, Kyle Kuzma, Ivica Zubac, and a first-round draft pick in order to get a chance at snagging Davis. Together with Brandon Ingram and Josh Hart, Ball, Kuzma, and Zubac form the Lakers' young core that was supposed to help James get into title contention in the West. The Boston Celtics are also rumored to be interested in Davis. However, the Celtics are prohibited to trade for Davis until July 1, the day when Kyrie Irving also becomes a free agent. Under the league's designated player rules, the contracts of Davis and Irving cannot join together on the same roster. Boston would have to wait for Irving's contract to officially expire before they can make a move on Davis. With that, Wojnarowski said that it would be an opportunity for the Lakers to be "aggressive" in extending an offer to the Pelicans for Davis before free agency starts. Meanwhile, the Pelicans have issued an official statement regarding Davis' request. It said that New Orleans will trade Davis on their own timeline and no outside influence will dictate what the franchise will do next. Davis is playing the best season of his career statistically. He is currently averaging 29.3 points and 13.3 rebounds with a PER of 31, all career-highs. The five-time All-Star has been sidelined since January 19 because of a finger sprain and is expected to return in one to two weeks.